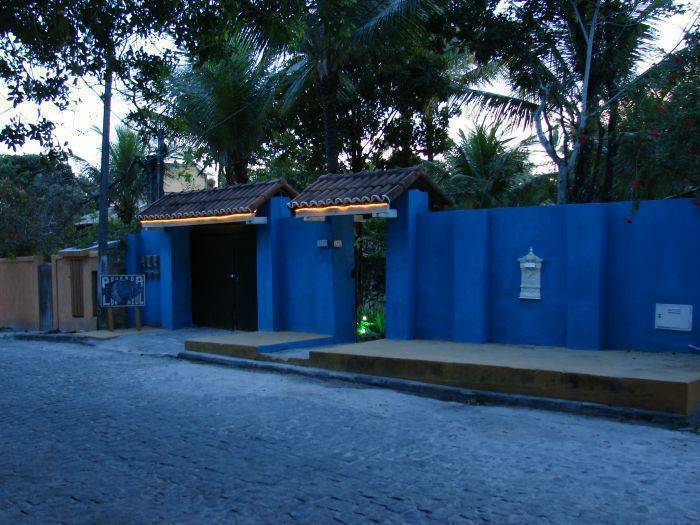 Our Hostel is in downtown, next to MUCUGE, ``most charming street of Brazil``. 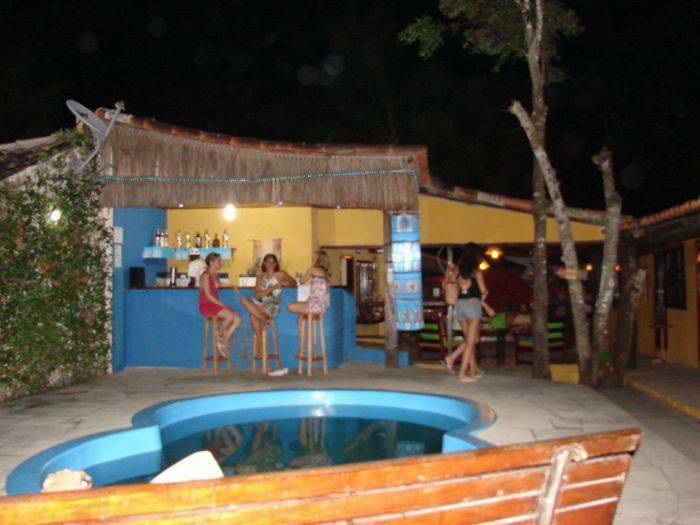 It is only a 2 minutes walk to the restaurants and shopping areas, and 10 min. walk to the beaches. Yet it is located in a quiet street. You will enjoy our hospitality. 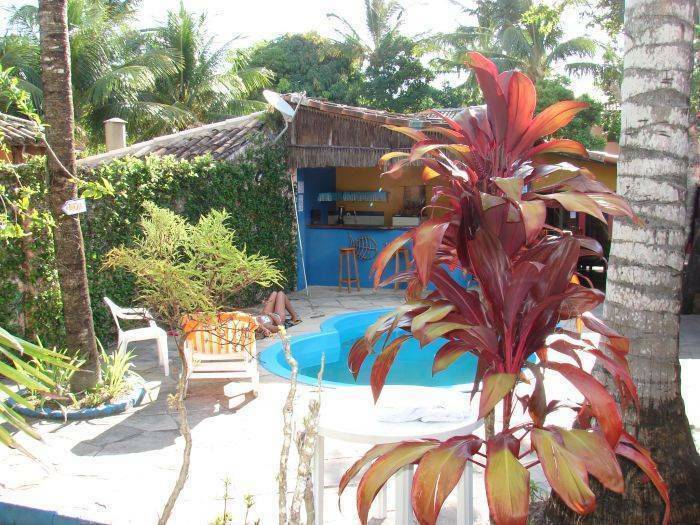 Arraial d`Ajuda is a less crowded and best preserved area of all Porto Seguro district. single- twin- double- triple- and quadruple rooms. Meeting room with TV, swimming pool and bar in the garden. Our B&B is located 2 small parallel street away from the main street Mucuge, with all its restaurants, shopping centers, stores, internet cafes and cultural events. From here to the beaches you have a short walk. We demand confirmation by phone or e-mail 24 hours before arrival - if you got delay on your arrival time, an extra phone call will save your booking. From the airport of Porto Seguro, take a taxi (about10 min. ride) to BALSA (ferry). Take a ferry across the river (10 min. ride). 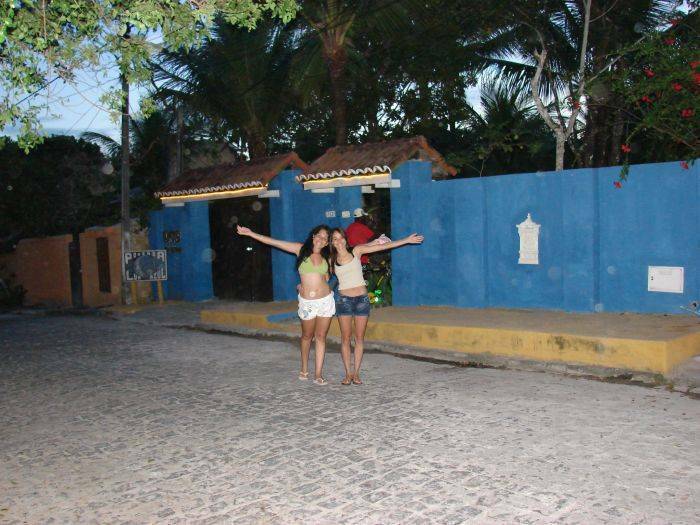 Than take a bus or taxi to the center of Arraial, and you will get there in 10 min. When you get of the bus, cross over the small plaza and head to the main street Mucuge. Go straight and soon turn right after the restaurant Boi nos Aires into the small side street (Rua Amendoeiras) and then into the 2. street on your left ( Rua do Ipe) - and here you are. 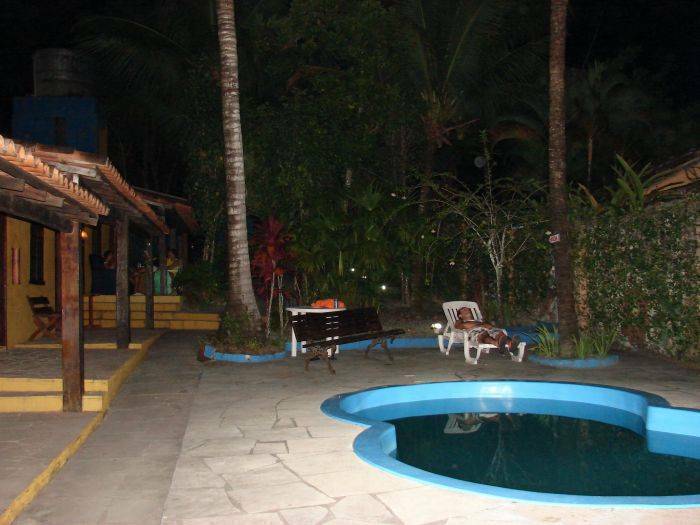 Nearest airport: Porto Seguro 10 km.